I love trying new things. Especially when it comes to wine. And especially when it comes to rosé. I was on my weekly (some weeks it’s bi-weekly) trip to Larkin’s Liquors, the wonderful liquor store in my town of Medfield, MA, that has a lot of wonderful rosés to choose from. And they know their stuff since they have recommended a number of tasty wines and rosés to me and my husband, Jon. Their latest recommendation was Wölffer Estate Rosé Table Wine 2015 and I’m so glad that they suggested it to us. 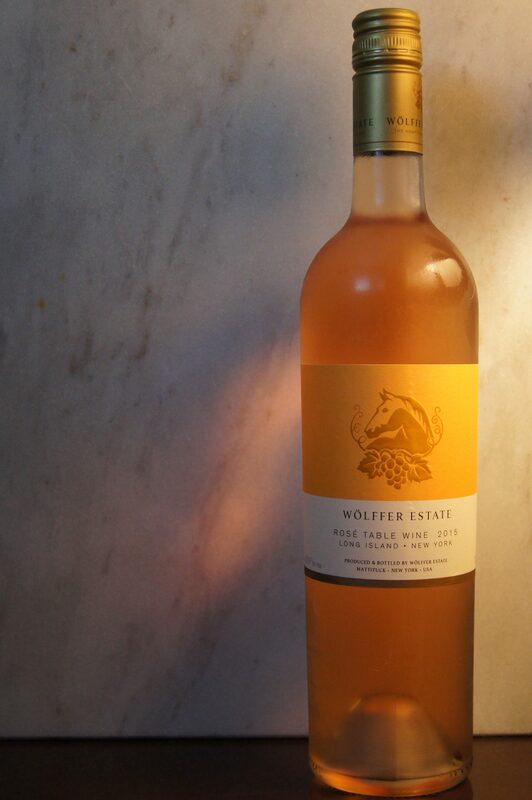 The Wölffer Estate Rosé had a smooth, sweet – but not too sweet – taste, and it went down really well. When I first started drinking rosé, I was a total snob about it and only wanted to drink rosés from Provence. I wasn’t so much a snob about it as much as I was a ding dong. I know I’ve missed out on some fabulous rosés made outside of Provence. Luckily, that didn’t last long and I’m atoning for my snobbery now and discovering so many delicious rosés not made in Provence. Wölffer Estate Rosé is definitely one of them. 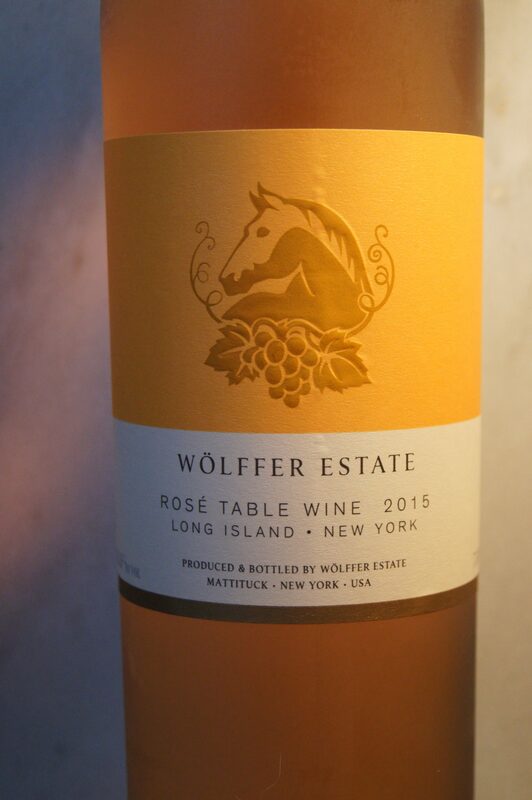 The Wölffer Estate vineyard is located in Sagaponack, New York. What I really like about their vineyard is that the grapes are all sustainable grown grapes. They are one of a handful of vineyards on Long Island that hold a Sustainable Farming Certification, which means that there is a checklist of 200 sustainable grape-growing practices that they have to follow. But it’s totally worth it. After one glass I could taste the fine quality that went into making the wine. I’m looking forward to trying the other wines from the Wölffer Estate and when I visit The Hamptons I’ll make it a point to visit their vineyard, which also has a tasting room and a restaurant. 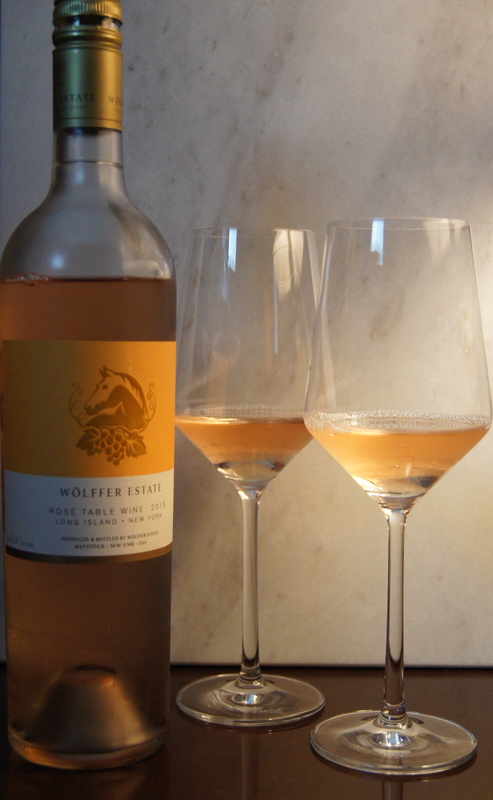 So if you’re looking to try a new rosé, I would recommend Wölffer Estate Rosé Table Wine 2015.